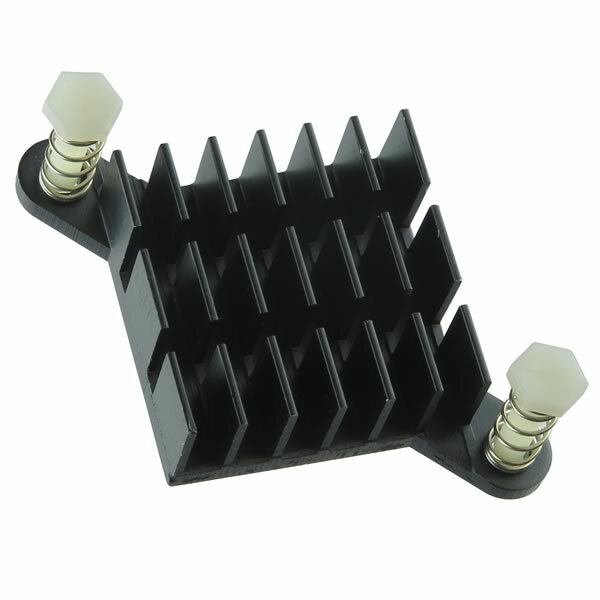 Black anodized aluminum cross cut fin heatsink for BGA applications. Features diagonally mounted spring loaded plastic push pins that engage with a hole in your PC board. Plastic push pin is 0.10" diameter. Size of heatsink (excluding diagonal push pin mounts) is 0.984" (25mm) x 0.984" (25mm) x 0.395" (10mm).